This list is bound to evolve To request the compatibility of a new tool with SG autorépondeur, contact our support. Click here to consult the documentation. Accept subscription payments, manage customer profiles, provide digital content, incorporate into your blog, forum, or CMS, launch your own affiliate program. A Wordpress plugin to create attractive and integrated opt-in forms directly in your blog with different options. Reminder: If the connection between ClickBank and SG Autoresponder does not work, check that your site is validated with ClickBank. It is a platform that allows to set up the sale and promotion of products with a network of affiliates with payment of commissions. ►Delete the target="_blank" from the form's html code. Click Funnels is a platform for creating conversion tunnels and sales tunnels, as well as webinars. We are interested here in the tunnel conversions allowing to register visitors of your site on a list SG Autorépondeur in an automated way. You can benefit from 14 free days on the logo of Click Funnels. We have no documentation to provide you with this service but the compatibility with SG Autorépondeur was realized following the request of our users. Wordpress plugin to manage paid member spaces. 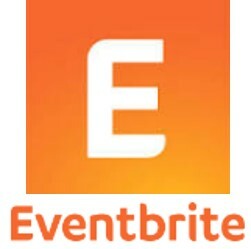 Eventbrite is a platform that allows you to manage your events and ticketing. You can also submit a one-click registration to your webinar from your SG autorépondeur list. You can find documentation on this page on this page. It allows to create webinars, conferences, meetings online in "evergreen". Use the power of this social network to create a Facebook Page and allow fans to sign up without leaving the Facebook application. Use a Facebook button "Registration" to register your contacts in a SG Autorépondeur list. Use the power of this social network to create a Facebook-based form ad and allow fans to sign up in a SG Autorépondeur list without leaving the Facebook application. PS :The disadvantage of this method of integration is that the person will have to fill 2 forms. However, it is still possible to export the registrants to GotoWebinar and import them into SG Autorépondeur. GotoWebinar is a platform for creating / managing webinars. Hellobar is a site that allows to install a hellobar on any website (including CMS such as Wordpress). It is a plugin for Wordpress to create pages of registration, presentation and sales tunnels only by "drag and drop" without obligation to touch HTML. It is a multi-platform web content management system that allows you to create a website, a blog or an e-shop without a mastery of HTML. We have no documentation at this time. Online platform allowing you to sell, develop and fully manage your online business in just a few clicks. This service also allows you to manage your affiliate programs. A tool to create online squeeze pages and sales tunnels. Click here to view the PDF booklet. It is an "all in one" tool that allows you to create, sell and animate online training from a single platform. You can also manage webinars and sales tunnels. SumoMe is a Wordpress extension that allows you to install and manage popups. 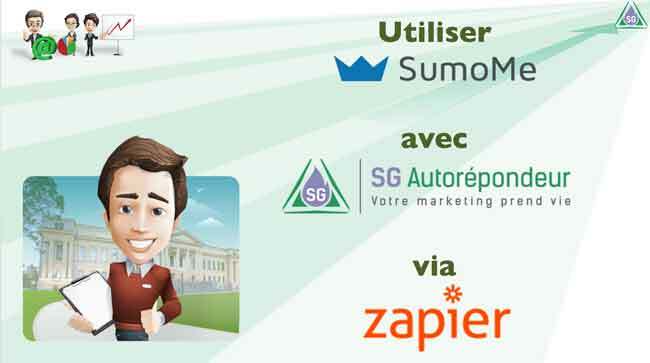 This case study allows you to connect SG Autorépondeur with SumoMe via Zapier. This is an alternative to the famous LeadPages that allows you to create sales pages on your Wordpress blog. References requested by MemberShip Manager and Commerce Manager should be filled in the Autoresponders Integration module on the MemberShip Manager and Commerce Manager Options page. Plugins for WordPress allowing you to create your paying member spaces and sell training. A Wordpress plugin to create forms and display them in popup on your blog. Opt-In Panda is a great plugin for wordpress that lets you generate leads. It offers to make some of your content accessible only if the reader gives you his email address. This plugin for Wordpress allows you to create professional capture pages and sales pages. This tool also allows you to create your member portal and sales tunnels. We have no documentation to provide you with this service but the compatibility with SG Autorépondeur was realized following the request of our users. The installation will be done by their technicians. Coregistration solution for all your on-line collections and marketing actions. The references requested by Optin Manager are to be filled in the Integration of Autoresponders module on the Options page of Optin Manager. It's plugin for WordPress allowing you to create forms in order to build your leads lists. It automatically corrects the typing errors of the user and allows you to automatically display one of your forms in all the articles of your site. This extension (free) for Wordpress offers management (simultaneous or not) up to 2 popups. Each of the 2 popups can be defined using 2 different models. Many options are possible. Click here to access the SG module + documentation . Allows you to create your online store free of charge and launch your e-commerce project. ► Most variables name, first name, email address, codepostal, city, country are retrievable as well as custom fields. ► Read the S2 Member documentation carefully, not to confuse the recoverable values on the registration notifications and the payment notifications. For example, %% role %% can not be used on registration notifications. S2Member is a Wordpress extension that allows you to install and manage a member area. This case study allows you to connect SG Autorépondeur with S2Member using a simple utl (web address). Allows you to launch your online store easily. No design experience required and no technical installation required. mailchimp2sg from Patrick Van Hoof on Vimeo. It allows you to manage your subscription forms and the orders of your customers. In addition, via SumoMe, the Zapier solution is able to link any other service with SG Autoresponder. Supsystic is developing several extensions for Wordpress. ► You must absolutely use the "Coordinates" field in the "Design Tools"
SurveyMonkey allows you to create online surveys. We have no documentation to provide you with this service but the compatibility with SG Autoresponder was realized following the request of our users.